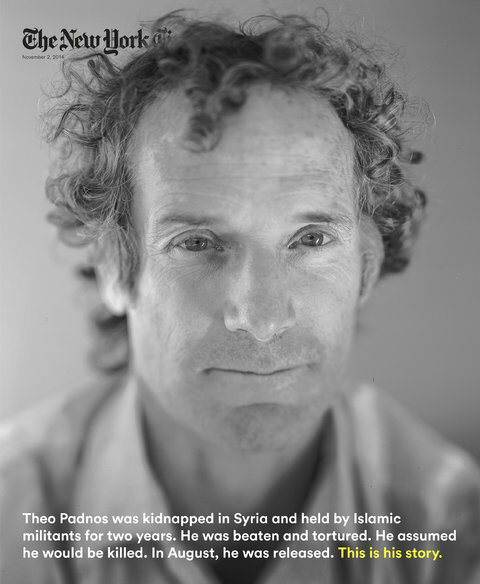 This week, FishbowlDC presents the latest issue of New York Times Magazine and its cover story “My Captivity” by Theo Padnos, who in August 2014 was released after 22 months by Islamic militants after being kidnapped in Syria. The F.S.A., it turned out, had given me to the Nusra Front, or Jebhat al Nusra, which was using the Children’s Hospital in Aleppo as a headquarters and a prison. During my first days there, I couldn’t believe that what was happening to me was actually happening to me. My mind kept replaying the hours just before and after the young men I met in Turkey attacked me. It seemed to me that I had been walking calmly through an olive grove with Syrian friends, that a rent in the earth had opened, that I had fallen into the darkness and woken in a netherworld, the kind found in myths or nightmares. I knew there was a kind of logic to this place, and I could tell that my captors wanted me to learn it. But what exactly they wished to teach me, and why they couldn’t say it straight out but preferred to speak through their special language of pain, I couldn’t understand. When the emirs came to my cell, they often stood in a semicircle over my mattress, muttered among themselves, dropped a candy wrapper or a used tissue on the floor, spit and then left without saying a word. One afternoon during the first week of my imprisonment, a group of younger fighters gathered in my cell. I was in handcuffs and lying with my face to the wall, as an interrogator had instructed. During the beating that followed, one fighter, apparently disturbed by the violence, asked, “Have there been orders to do this to the prisoner?” No one answered. 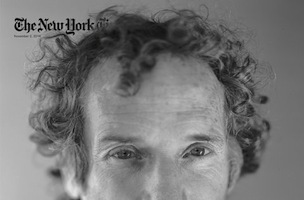 A must read, online, or on newsstands Sunday.